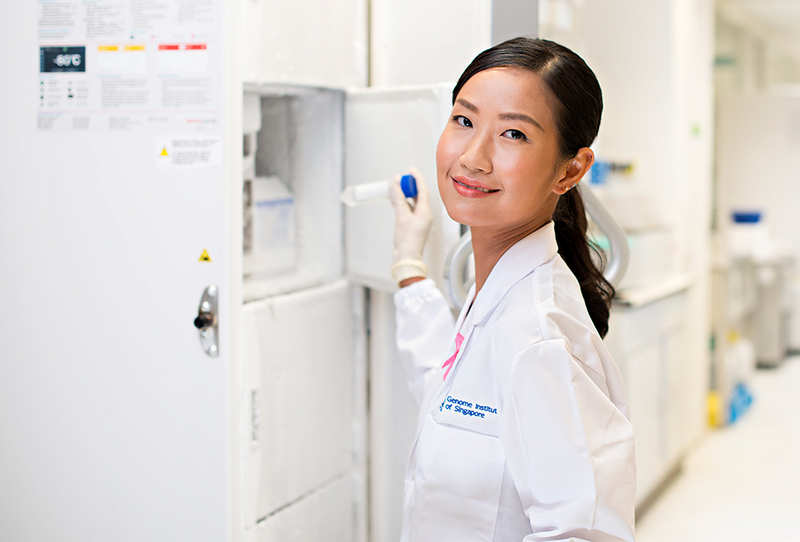 It may be a significant problem that currently affects over 20 million people in Asia, yet eye disease - which can lead to visual impairment (VI), and eventually, blindness - remains a condition that many are unaware of. 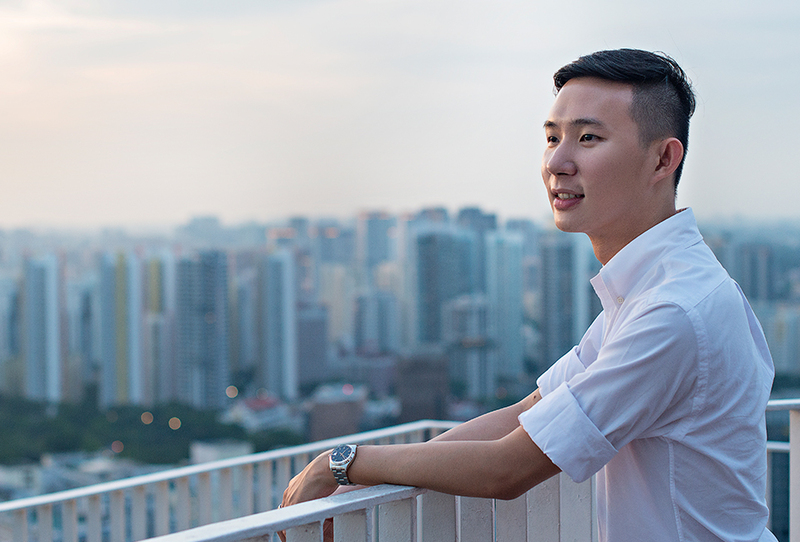 In Singapore alone, approximately 80 per cent of individuals with certain eye diseases such as glaucoma and diabetic retinopathy do not even know that they have such a condition. Dr Dinesh Visva Gunasekeran, however, aims to change that. 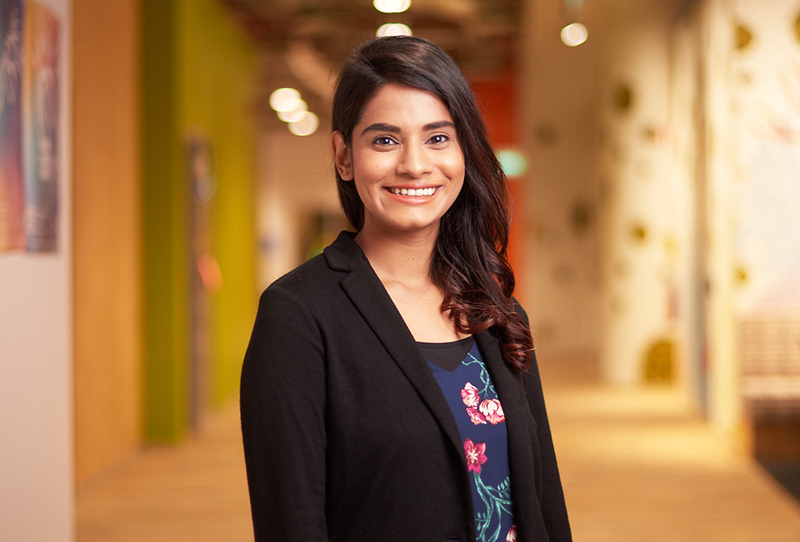 To that end, the 26-year-old founded VISRE (Visual Reality), an initiative which helps to facilitate early detection of eye diseases through the innovative use of immersive technology like Augmented and Virtual Reality solutions. 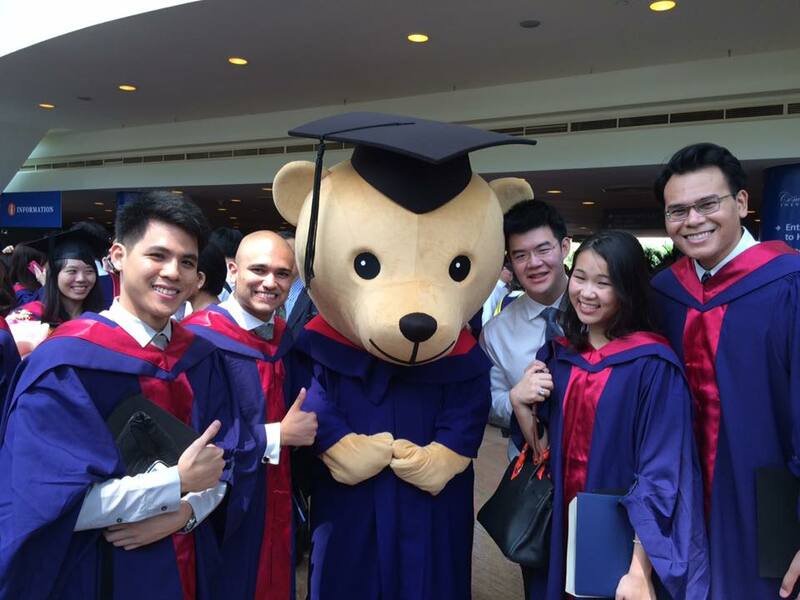 Dinesh (second from left) with classmates at his NUS Commencement Ceremony in 2015. Upon further research, Dinesh realised that the main contributing causes to VI are “lack of awareness and accessibility to eye screening” – two issues, he believes, that VISRE can help to solve. 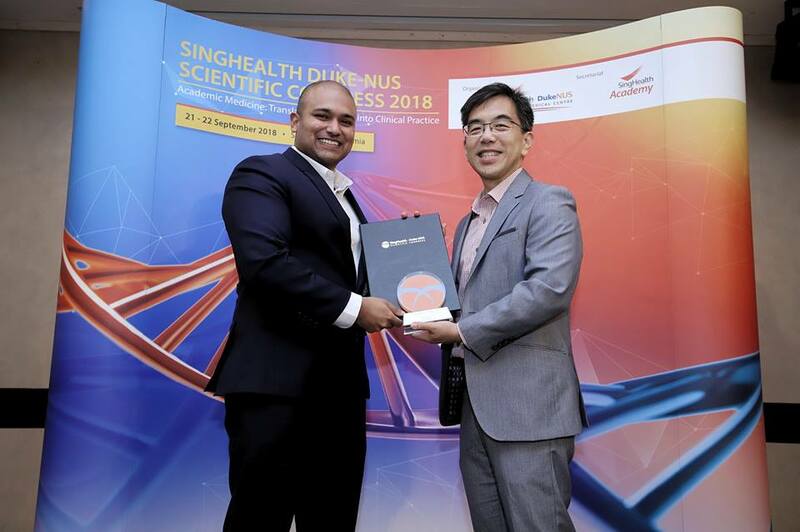 Dinesh receiving the Best Paper Award (Education category) at the Singhealth Duke-NUS Scientific Congress 2018 from the eminent Professor Wong Tien Yin, also an NUS alumnus. Currently, the VISRE core solution is still in the pilot phase and has yet to be launched to the public. Dinesh believes that will happen sooner rather than later, as the results from their initial clinical pilot testing of a single prototype were encouraging. 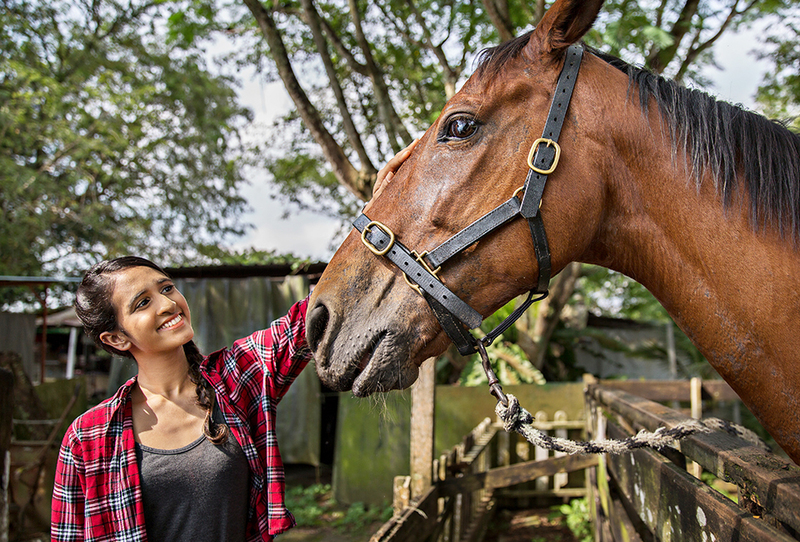 “The testing gave us strong signals for potential paths to sustainability, as well as important feedback for our overall strategy,” Dinesh said. 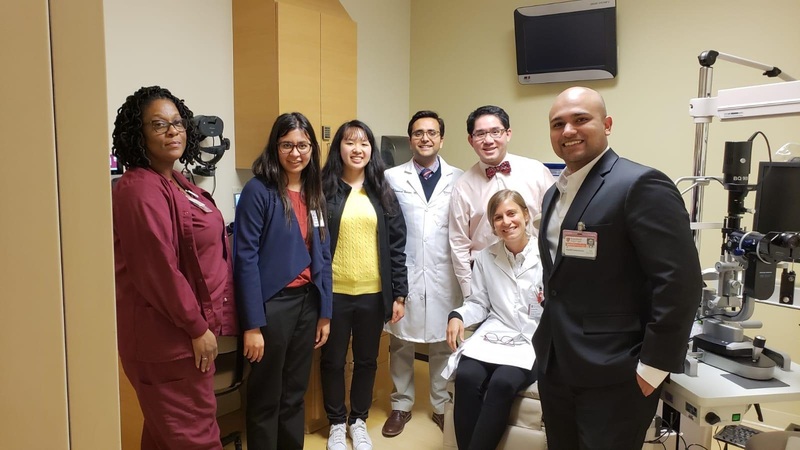 Dinesh (first from right) with collaborators from the Stanford University Ophthalmology department. There was further good news for Dinesh in December 2018 when he was awarded the National Youth Fund scholarship award. 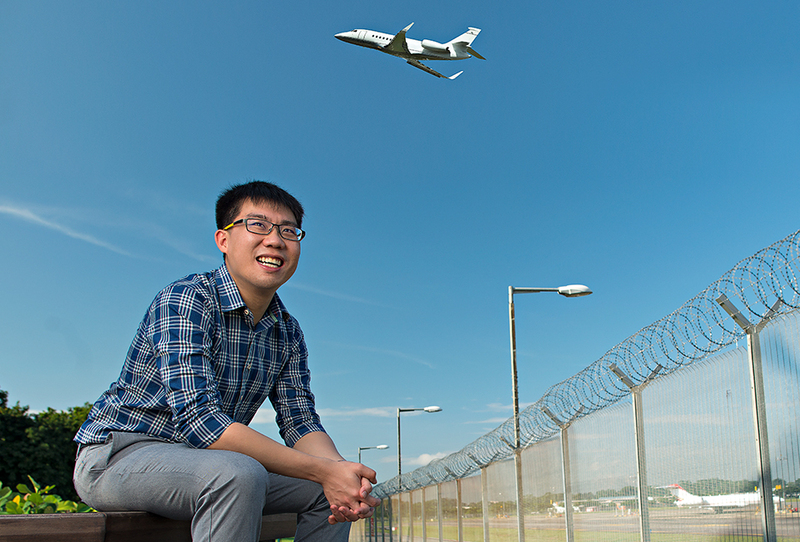 The award supported his trip to Silicon Valley and the Stanford University Ophthalmology department, where he set up new collaborations for youth-led health innovation projects in NUS as well as multinational eye health education campaigns supported by VISRE. 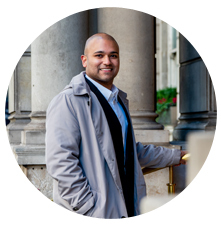 As the founder and project lead for VISRE, Dinesh knows that he has to “familiarise himself with the approaches and terminology of the relevant industries”. He also has to be able to think “two to three steps ahead” to anticipate the team’s needs, as well as any possible issues that may arise. 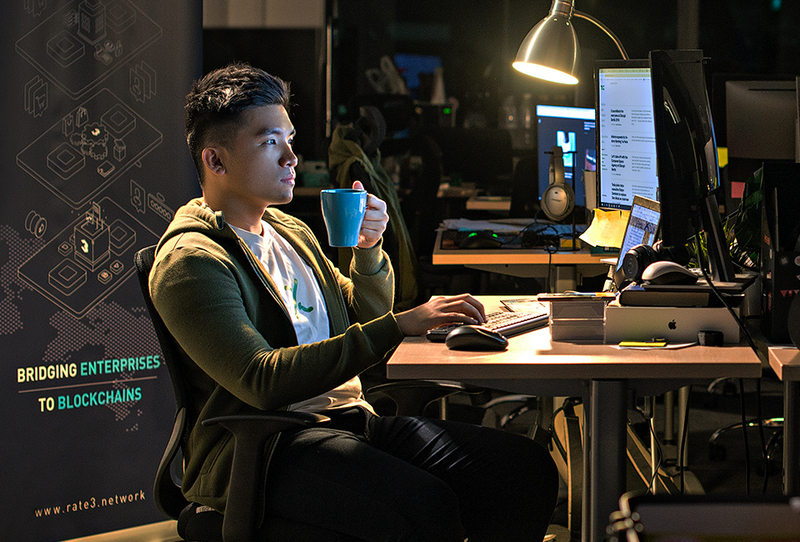 These were key lessons he learnt from his previous experience co-founding a start-up, Doctorbell with fellow NUS alumni Patrick Poh, Nicholas Chew, Ming Xiang Tham and Paul Poh, from the schools of Computing and Business. The all-encompassing scope of work may seem daunting, but Dinesh believes the strong medical foundation and rigour built during his time at NUS’ Yong Loo Lin School of Medicine has been instrumental in his journey of initiating VISRE. Dinesh (third from left) having dinner with NUS tutors and fellow colleagues during his undergraduate days. 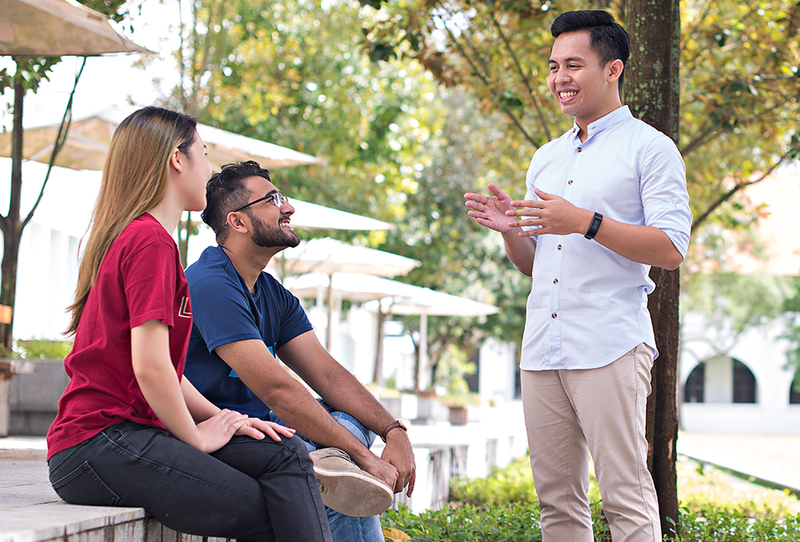 While Dinesh may have already graduated from NUS, he continues to be involved with the University as an advisor and volunteer doctor at some of their health screenings. 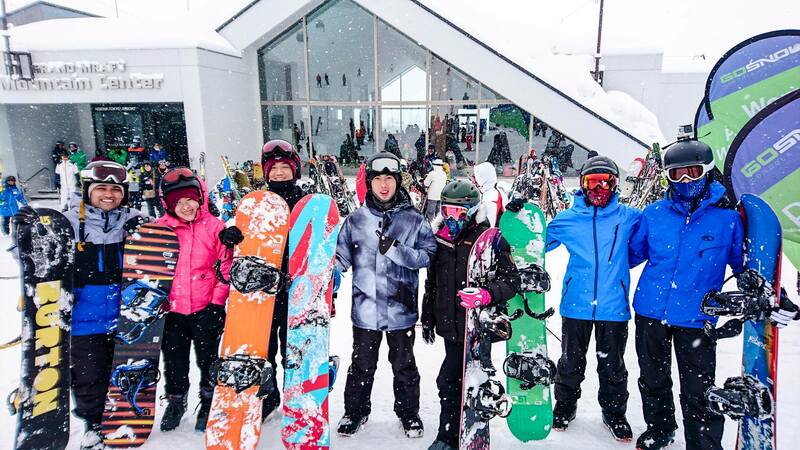 Dinesh (first from left) with fellow schoolmates from NUS on vacation in Niseko. 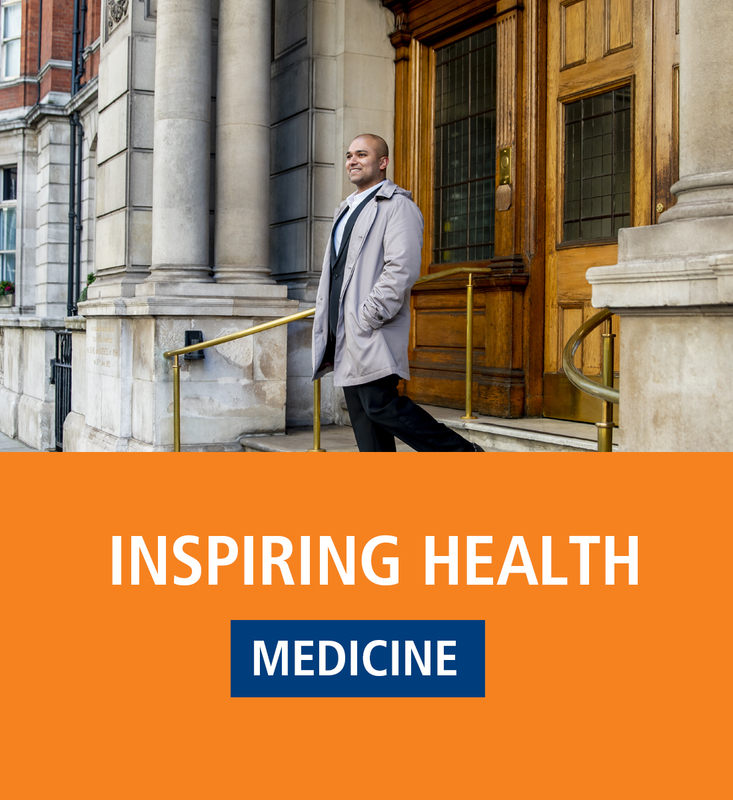 More recently, he has also contributed his “energy and limited experience” as a faculty advisor to the Medical Grand Challenge (MGC) – a student-led programme that encourages medical innovation and multidisciplinary collaboration among current undergraduates. 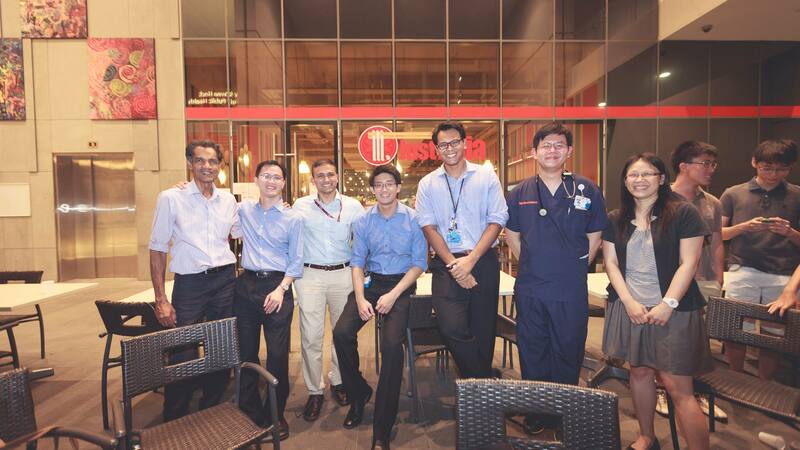 It is no surprise that Dinesh is willing to sacrifice his time to give back to NUS, having himself benefitted from this culture of helping and collaboration during his time as a medical student.